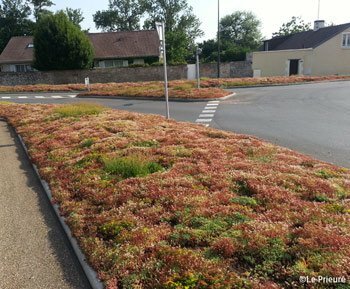 With Vegetal i.D.® solutions for road edging and swales, Nature is back to the city! Too frequently areas connected with roads (roundabouts, flowerbeds, pavements, etc.) are covered in concrete. Developing these areas by planting vegetation offers residents and visitors better surroundings while cutting down on maintenance costs.